Distance from city center: 14 km. 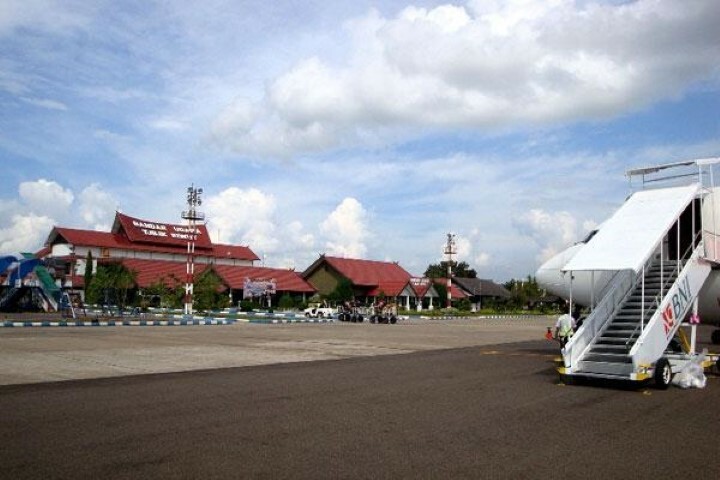 Which airlines fly to Fatmawati Soekarno Airport? Where is Fatmawati Soekarno Airport located? 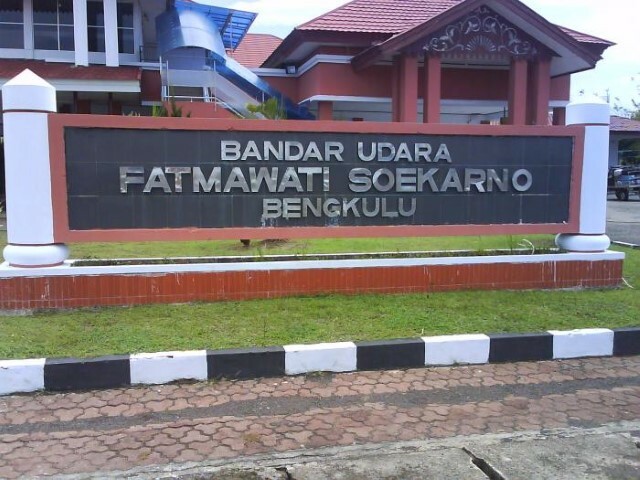 Bengkulu's Fatmawati Soekarno airport is located 14 km south of the city. 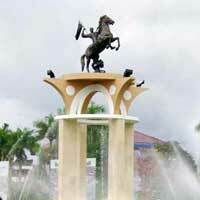 How to get from the airport to Bengkulu city centre by public transport? There is a taxi coupon counter at the terminal which has a set fare of Rp. 120.000 for a taxi into town. You can also walk 200 meter to the main road to get on a passing minibus to the city (Rp. 4000). What are popular destinations from Fatmawati Soekarno Airport?